Nurses are often the unsung heroes of health care. They work long, grueling hours carrying out the doctor’s orders, they interact with doctors, patients and peers in often chaotic and emotionally exhausting environments and they often do this difficult work exhausted. 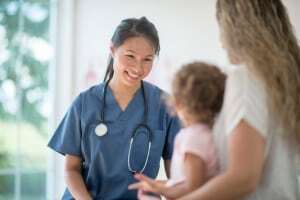 Fatigue, burnout, exhaustion, overworked: regardless of how you describe it, due to their often 12-hour shifts, nurses work despite their tiredness. Sometimes, the sheer exhaustion can lead to medical mistakes that cause patients injury and death. These and other errors, made because the nurse may be overworked and overtired, may seem like just a mistake but when it comes to health care, a simple mistake can lead to death. We recognize that no one is perfect, and that mistakes will be made – but some mistakes can lead to serious injury and death of the patient. What is the difference between a nurse’s error and one that is actionable in a medical malpractice claim? The breach of the standard of care was the direct cause of the injury. The plaintiff in a medical malpractice case would have to prove the ways in which the nurse’s actions fell below the accepted standard and led to his or her injuries. In order to do this, your attorney will review your medical records, speak with witnesses, and consult with medical professionals, all to gain insights into how your injury could have been avoided, and how much compensation you should be awarded. In Washington, D.C., a plaintiff has three years to file a medical malpractice claim, unless it results in death, in which case a two-year limitations period might apply. There are also exceptions in cases where the effects of the medical mistake are not evident immediately, called the discovery rule. The discovery rule extends the period in which a patient can bring a claim when the injury is discovered years after the medical mistake occurred. The statute of limitations begins to toll once the injury is discovered. Nurse fatigue and burnout can have a negative impact on the quality of care they can give to each patient, and it can lead to costly mistakes that cause serious injuries and death for patients.